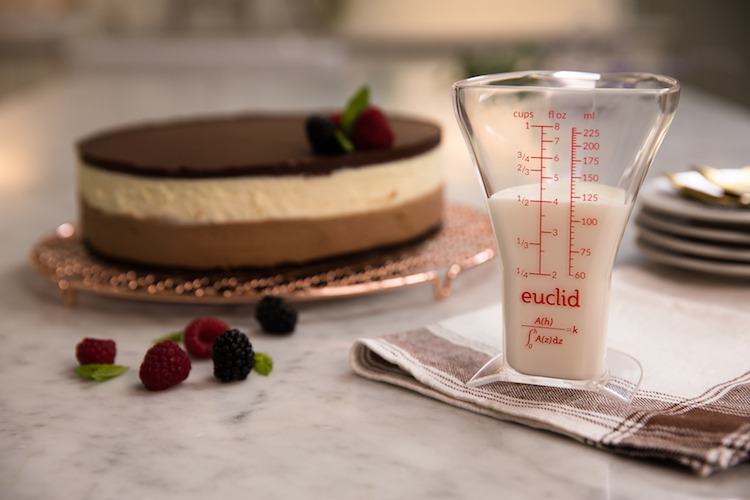 Joshua Redstone, an engineer who worked for both Google and Facebook and enjoys baking, has created the Euclid, an intelligently redesigned measuring cup that precisely apportions liquid, even when the amount is very small. The concept came to Redstone when he grew frustrated while trying to parse 1/4-cup in a 2-cup measuring cup. Being that he’s an engineer, Redstone turned to math to solve the problem and came up with the beautifully tapered Euclid. Redstone is now raising funds through Kickstarter in order to bring the Euclid to market. 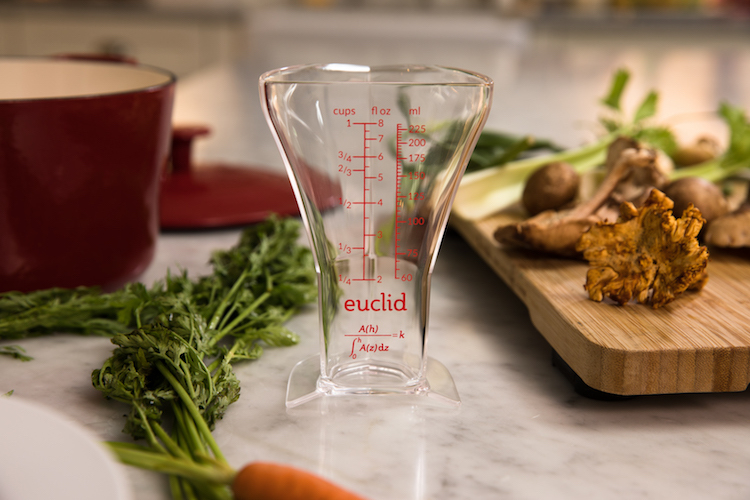 Euclid is the first measuring cup to measure small amounts just as accurately as large amounts. It does this through a mathematically-defined shape. 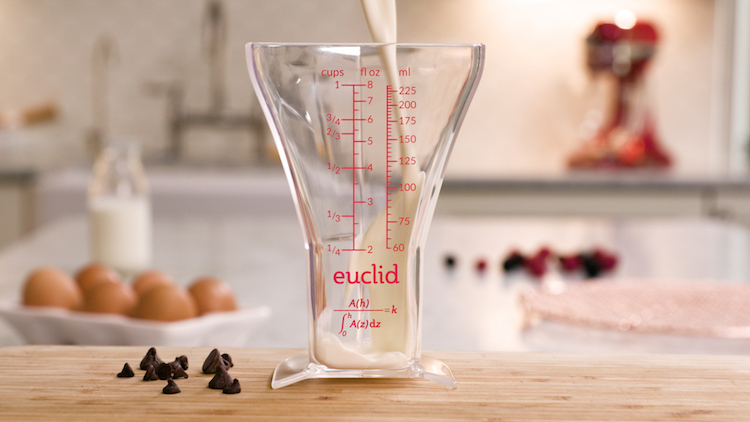 No measuring cup, not even conical ones, has ever done this before. More accurate measurements helps recipes turn out better. Plus, the math is pretty neat.